To my mind, there are two really interesting post-Beatles bands who've done something with the melodic tradition The Beatles got going. One of them's Squeeze. They're so underrated in that glut of '70s British bands. I followed The Stranglers too, of course, having been in a band with Hugh [Cornwell] when I was young. They were great! It's funny, but Hugh and I literally didn't see each other after 1967 until about six or seven years ago. I don't know how that happened – life's like that sometimes – but it just did. After we bumped into each other at that festival in Spain, we've been in touch ever since, though, which is really great. 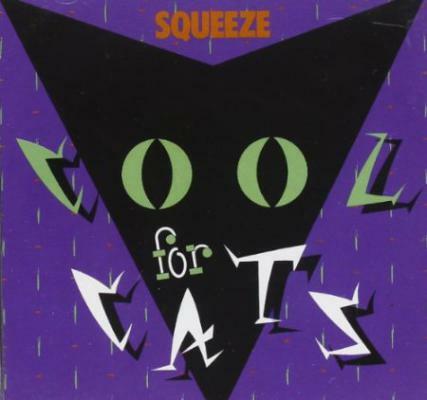 I like Squeeze a lot because they manage to do something very clever: make songs with complex lyrics and complex melodies that sound very effortless, and are full of great hooks. Glenn Tilbrook's a great singer, full of character, as is Chris Difford, and their songs are full of honesty and humour which sounds very South-East London to me. Their music sounds very much from its time and its place, and I go back to it often.